As earlier it has been rumoured that in near future Google is going to reveal its next affordable 10inches format nexus tablet, in this case we are talking about Google Nexus 10 which will be officially revealed on 29th of this month. 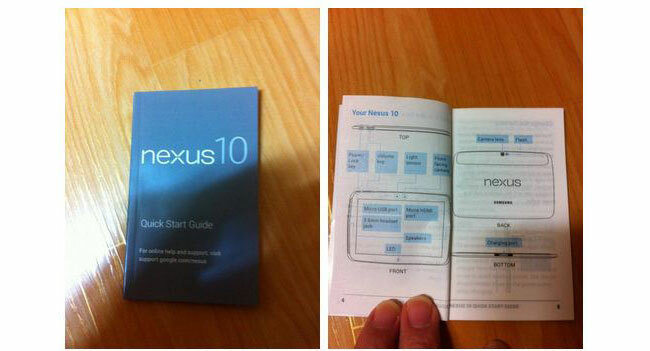 The manual of the tablet Google Nexus 10 is revealed now and you can see in the above imaged. Judging from the photos, the tablet will port Micro USB, video output Micro HDMI, additional port for charging, 3.5mm headphone jack. It will be also featuring front panel wambient light sensor, camera and LED illumination. On the back of the camera and flash are available. Previously, it was also reported that the device will display with a resolution of 2560 × 1600 pixels. 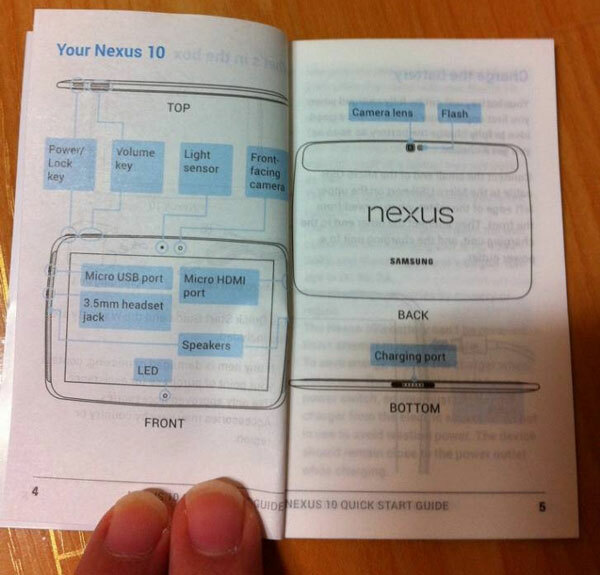 As per the previous rumoured information, this Samsung Google Nexus 10 tablet will e featuring the most high end hardware available to this date, of course it points Google want to rule in the range of 10inches format tablets. Moreover, Expected release date for this tab Google Nexus 10 is scheduled by Google on October 29, so stay tuned with us for more updates regarding this cool Samsung Nexus 10 tablet.